The European pancreatic and biliary stents market, which covers 21 major markets, is set to grow from $60.5 million in 2016 to around $84 million by 2023, representing a compound annual growth rate of 4.8%, according to GlobalData, a recognized leader in providing business information and analytics. The company’s latest report states that key drivers of the market, which covers esophageal stents, gastrointestinal stents, and colonic stents, include increased cancer rates and the development of stenting technology. Brigitte Babin, MSc, Healthcare Analyst for GlobalData, explains: “The pancreatic and biliary stents space is a leading non-vascular stents market and includes plastic, fully covered metal, partially covered metal, and non-covered metal pancreatic and biliary stents. 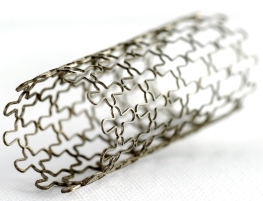 Of these segments, the fastest growing is the fully covered metal stents market, while the non-covered metal stents market is decreasing globally. Indeed, the former tend to be preferred as they have a reduced risk of post-operative complications, such as stent migration. The market in Europe is fragmented and consists of both regional and international vendors. Currently, Boston Scientific and Cook Medical account for the majority of the market in this region and at a global level. Both of these companies have an extensive product line and a strong sense of international presence. Information based on GlobalData’s report: MediPoint: Pancreatic and Biliary Stents – Europe Analysis and Market Forecast.